Note: Much of the information below is speculative and may or may not be true. Former military man and signal operator by the You Tube name of Flat Water(real name Glen) has come on the scene in 2015/16 with a slew of videos that are filling in many of the important information gaps that other Flat Earthers are neglecting. 1.Are the Earth and Heaven built like a giant clock or timepiece? 2.Are the Sun. 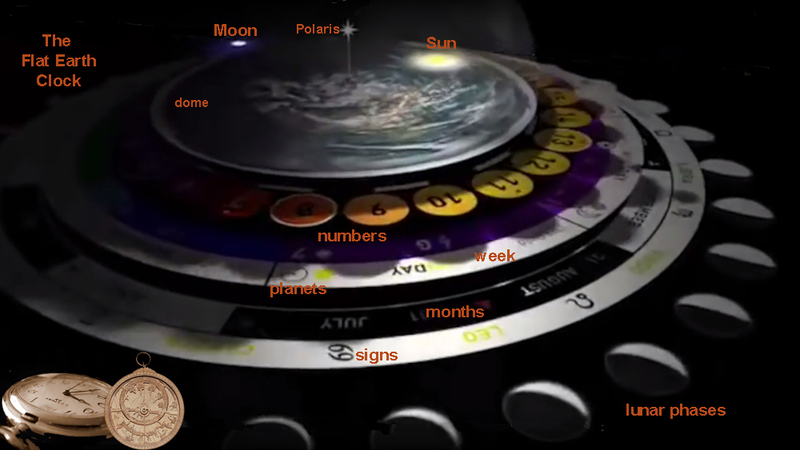 Moon, planets, and stars solid objects or projections, and where do they originate from? 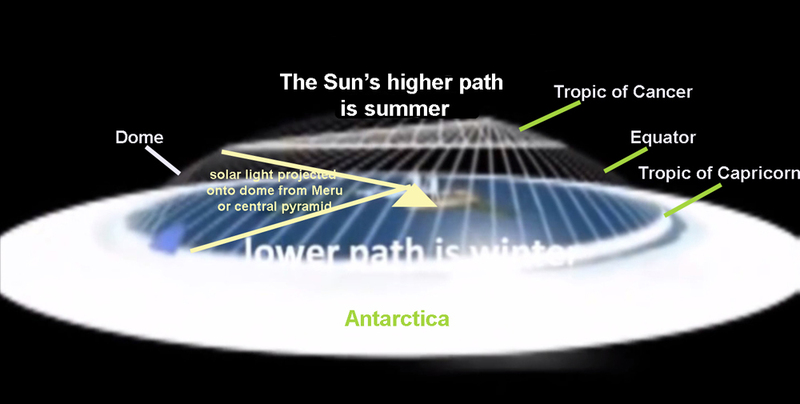 3.Just exactly how does the Sun move on a flat Earth causing day and night and the seasons and what is the mechanism or driving force behind it? 4.Are eclipses a Sun/Moon/Earth phenomenon, or are there other bodies at work here? 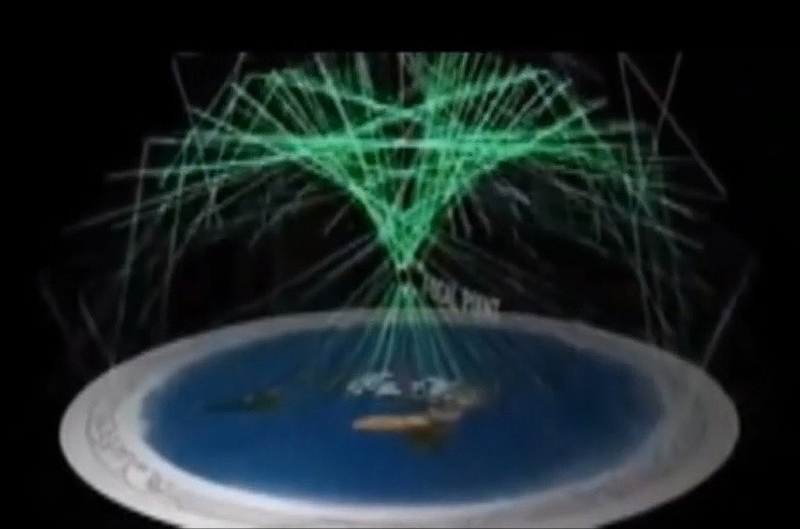 5.What are they hiding and protecting at the North pole and the Antarctic region? 6.How does astrology and numerology and the Tarot fit into all of this? The flat Earth plane is built much like a timepiece with the Sun, Moon and planets as the hands and the zodiac divisions as the hours. to show the reader the complexity or precision of information involved in making the whole watch-like system work. 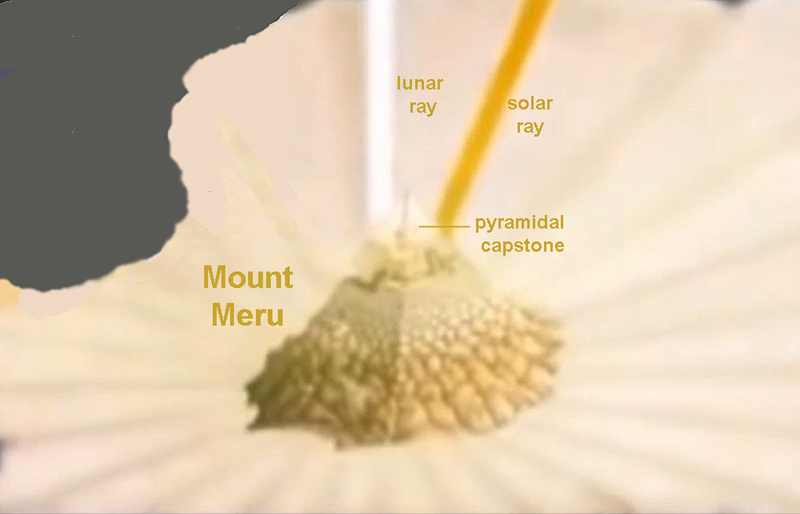 This system involves all manner of both scientific and esoteric methodologies or principles. 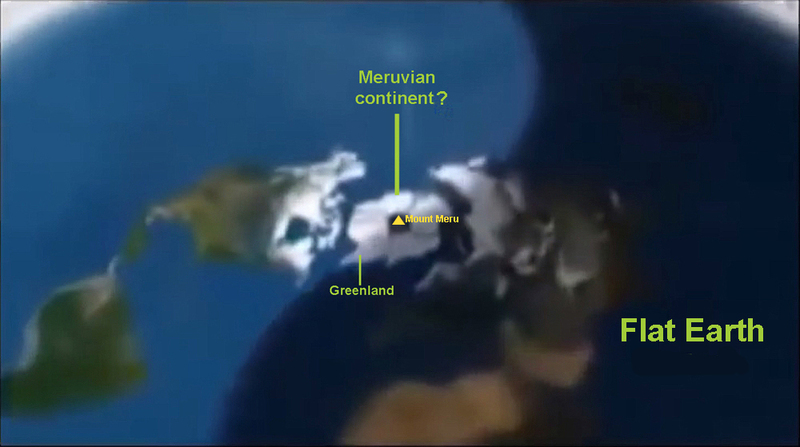 Another Continent at the North Pole? all compasses point there. So why don't modern maps show this? Are they hiding something they don't want us to know about? throne or portal to other lands or universes, or may even be used as a weapon. Was this what sank Atlantis into the Ocean? 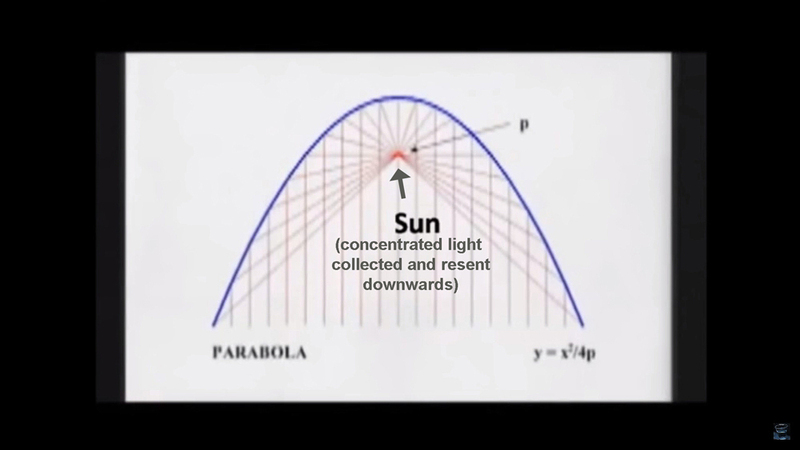 parabolic mirror that gathers the light in concentrations and then reflects it back down to us. summer and the southern regions its winter. This is reversed when the beam is lowered. It's all calculated meticulously of course. exactly what the Sun, Moon, planets, and stars are -different sizes, colors, or intensities of light. Eclipses are not a Sun/Moon/Earth phenomenon. 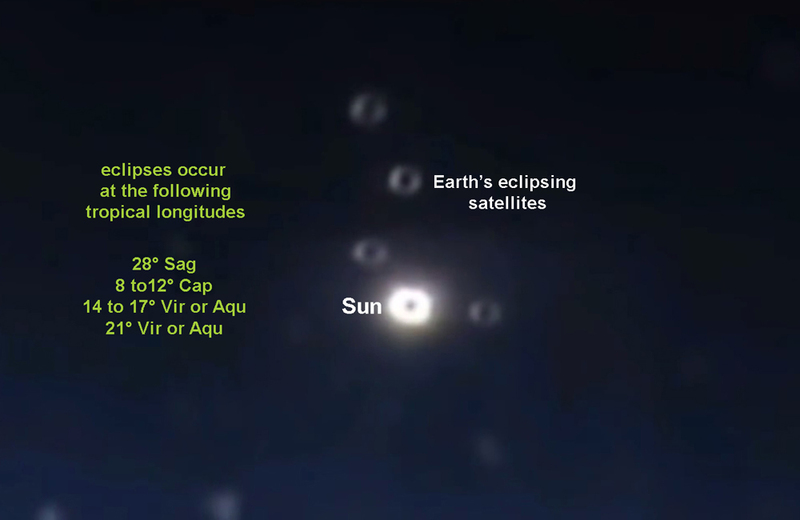 Other Earth satellites discs at various points of longitude and latitude absorb or interfere with the solar and lunar rays creating the eclipse. These discs are transparent and therefore practically invisible to us unless acted upon by light sources. 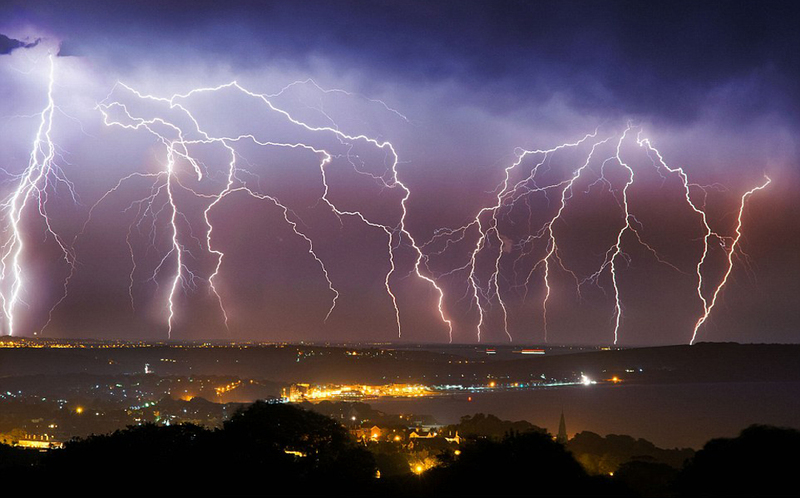 that, there was no rain or thunder but only a mist or dew that rose a few feet from the ground. Here is another image I found and worked on not necessarily related to Flat Water. 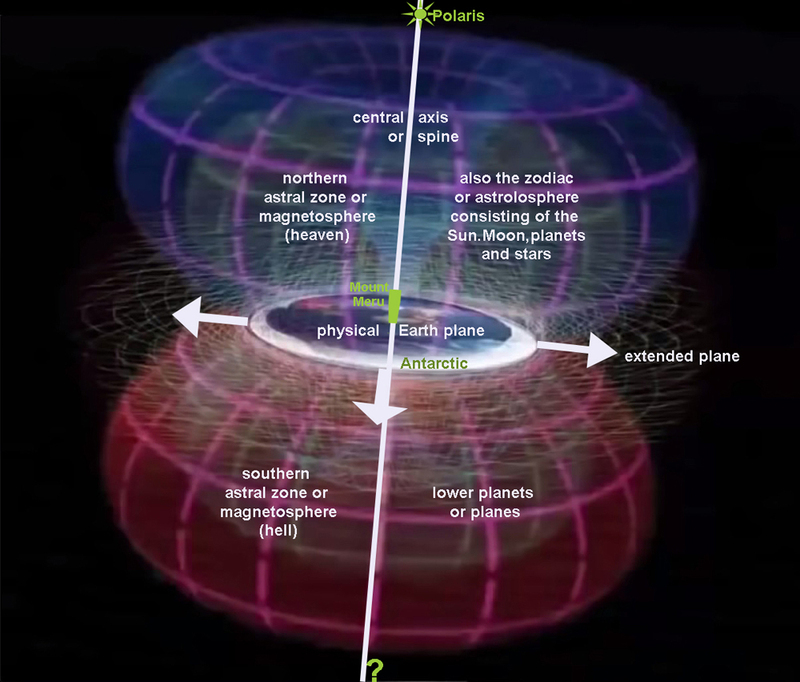 It shows the flat Earth plane and its invisible astral or magnetosphere which is divided into two parts, positive upper(Heaven) and negative lower(Hell). These electro-magnetic torroidal(Van Allen?) belts which may originate or work with the polar magnetic Meruvian loadstone contain all of the information necessary for life. It's like a giant Akashic computer and works through the process called Cybernetics. Within these belts circle its chakras or focal points -namely the Sun, Moon, and planets, as well as the stars and all other heavenly bodies. This astral cybernetic system of information reciprocity is called Astrology. This model is supported by the popular Italian-born astrotheologist Santos Bonacci.